Calgary (CP) — TransCanada (TSX:TRP) is pointing to a new study on how pipeline safety stacks up against rail to show why two of its controversial projects should be built. According to the report by the Fraser Institute released Thursday, the rate of incidents or accidents per million barrels of transported crude is 4 1/2 times higher for rail than for pipelines. 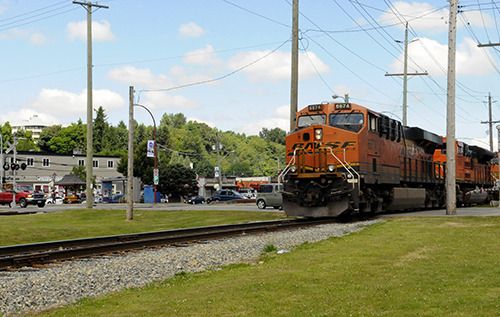 The think tank crunched data from the federal Transportation Safety Board and Transport Canada between 2003 and 2013 to come to that conclusion. “In both Canada and the United States, rising oil and natural gas production necessitates the expansion of our transportation capacity,” said Kenneth Green, the study’s lead author. TransCanada spokesman Mark Cooper highlighted the Fraser Institute study in a missive outlining the reasons why its long-stalled cross-border Keystone XL oil pipeline ought to be approved. The company first applied to the U.S. State Department to build the pipeline nearly seven years ago. The final decision is now in the hands of U.S. President Barack Obama, who has expressed skepticism about the project. “If it is judged on fact and science over symbolism — as this report and many others before it have shown — it will be approved,” Cooper wrote in an email. TransCanada has floated the idea of creating a “rail bridge” to tide shippers over while Keystone XL remains in regulatory limbo, though no specific plans have been announced. The study was also pointed out by Tim Duboyce, a spokesman for TransCanada’s Alberta-to-New Brunswick Energy East proposal, in reaction to the Ontario Energy Board’s finding that the project’s risks outweigh its benefits. North American oil producers have been increasingly looking to move their product on trains as pipeline proposals remain stalled. In a June report, the Canadian Association of Petroleum Producers said crude-by-rail volumes averaged 185,000 barrels a day in 2014. 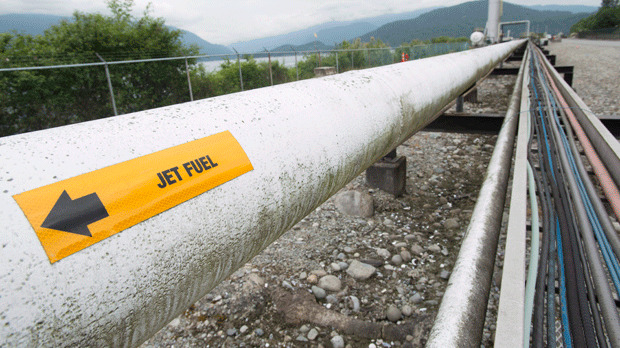 Thursday’s Fraser Institute study made reference to 2013 research that, based on U.S. data, found when pipelines do spill, it’s in greater volumes than rail — 42,722 litres per billion ton-miles versus 13,264 litres per billion ton-miles. However, it says that for pipelines, the figure decreases “noticeably” when recovery rates of spilled products are taken into consideration. “The Fraser Institute wants us to pick our poison, but the real solution is to make both safer while we reduce our reliance on oil,” said Greenpeace campaigner Keith Stewart. Be the first to comment on "Fraser Institute – “Pipelines Safer Than Rail”"